If you’re looking for batt insulation either for a new building or to add to what’s already in your home in Murfreesboro, Tennessee, 31-W Insulation can help. We are your insulation experts, having served residents throughout the southeastern United States since 1972. 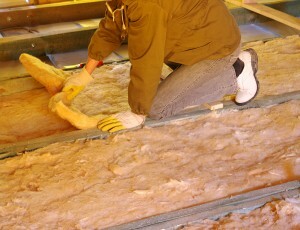 We proudly offer a range of insulation products as well as reliable installations to meet any of your insulating needs. Once you’ve chosen the type and brand of insulation that best suits your needs, the highly trained professionals at 31-W will get to work installing your foam, cellulose, or batt insulation. Typically, a single day is all they need to complete the installation, allowing you to start enjoying a more energy-efficient home right away. A properly insulated home contributes to lower energy bills each month, more comfortable indoor temperatures, and a longer life for your HVAC unit, all of which make this a well worthwhile investment. For more information on the batt insulation or other insulation materials we offer and install in Murfreesboro, TN, contact 31-W Insulation today.